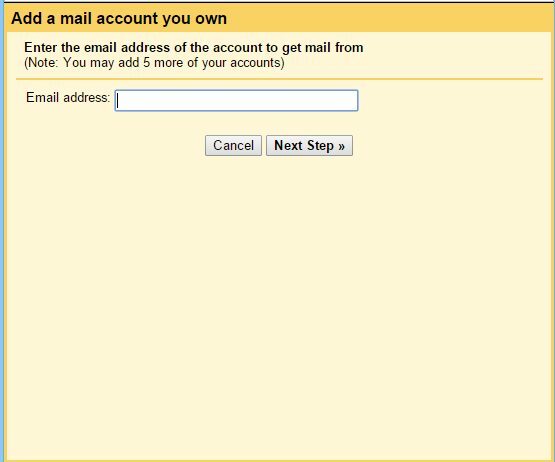 Creating a new account of Gmail is not a big task but that leave back all the emails that is there in your old email account. And if you starts forwarding every single mail then it will take up complete day to forward all of them to your another or say new account and thats why normally user leave them as such in their old account. But to overcome this we have a cool solution by which you can easily move all your emails from your one google account to another with a single click. 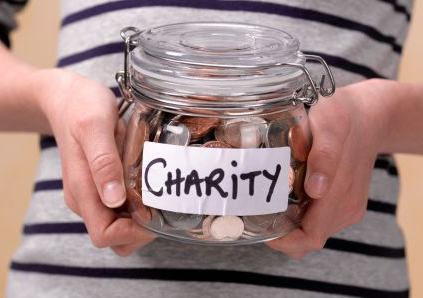 Yes its possible and that too with a simple method that we are going to discuss right here. And with this method you will move all your emails to the inbox of a new Gmail account and there will be no need of forwarding each and every mails with wasting lots of time on it. So have a look on complete guide discussed below to proceed. 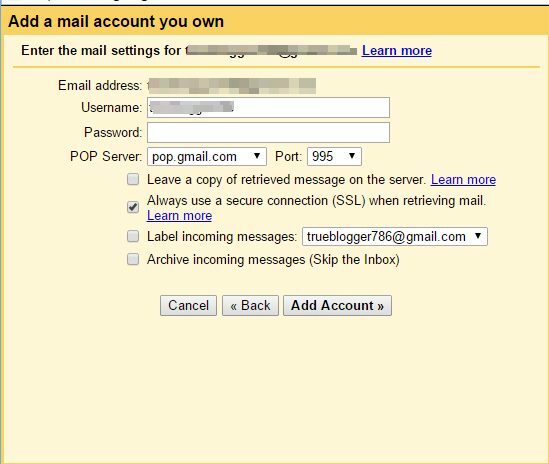 The method is just simple and straight and you will use some of Gmail account settings that will allow you to transfer all the email to another account. And this is a feature of Gmail that probably no one of you was knowing before reading this guide. So follow up some simple steps below. 1. First of all login into your Gmail account whose email you want to move to another account. 2. Now click on settings button there on below of your profile picture of your account. 3. 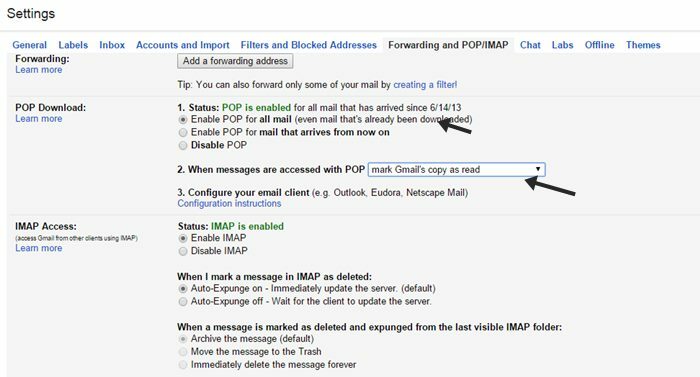 Now under settings click on Forwarding and POP/IMAP option and there enable Enable POP for all mail (even mail that’s already been downloaded). 4. At below select Mark Gmail Copy As Read in the drop down option and then simply click on save changes option. 5. Now visit your new Gmail account to which you want to get all your mails. 7. Now a popup windows will appears where you need to enter the email address from which you want to import emails and then click on next step. 8. Now on the another page simply proceed by entering the password and all other fields will be auto-filled there and simply click on Add account. 9. Now on the next screen simply click on yes option and click on add. 10. That’s it you are done, now all the emails of that account will be there in your new Gmail account. 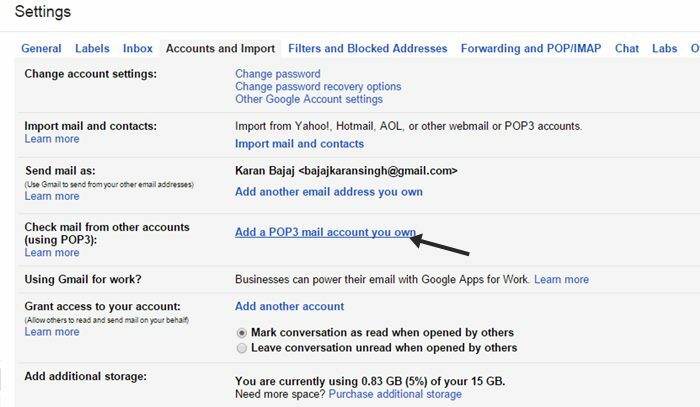 So above is all about How to Move Emails from One Gmail Account to Another, With this method you can easily transfer all the mails from one account to another within some simple steps discussed here. If you have a lost/stolen phone with all your data on drive aND Google photos , and authorized 2 step verification. How can u log on to ur Google, Drive &,Gmail account ? I have the user name and password but not the same phone or phone number so how do I log on?